The Regulatory Reform (Fire Safety) Order 2005 ensures buildings, whatever their purpose, have evacuation plans in place for anyone who may be present in an emergency. This regulation includes those with restricted mobility such as a disability or an injury. For patients who are bed-bound and use an active mattress, this presents an even bigger dilemma. The Evacuation Sledge for Use with Active Mattress is an ideal solution to this problem. 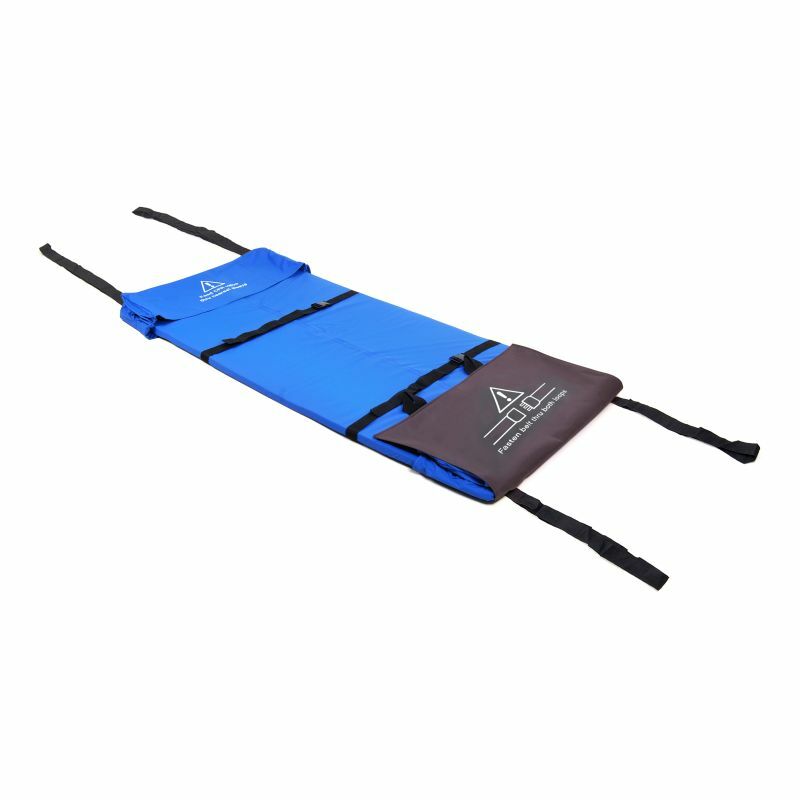 The sledge is designed to fit under the majority of active mattresses and has a high density foam base. If an emergency occurs, the mattress can be deflated by opening the CPR valves and the sledge will provide adequate support for the user while they are evacuated. Since nothing is more important than safety during an emergency, this sledge has been equipped with a number of features to make evacuations safe and simple. Straps to secure the patient are hidden in pockets within the sledge, preventing them from interfering with profiling bed mechanisms. A low-friction material is used on the base, making it easier to pull on most surfaces and facilitating a streamlined evacuation. During most evacuation procedures, patients who require the use of a profiling bed must go without pressure relief for an extended period of time. This evacuation sledge is designed to solve this problem, with an integral foam base for continued pressure relief during transfer. This greatly reduces the risk of patients developing pressure injuries due to a long evacuation process.